River Nile is well known to be the longest river in the world. 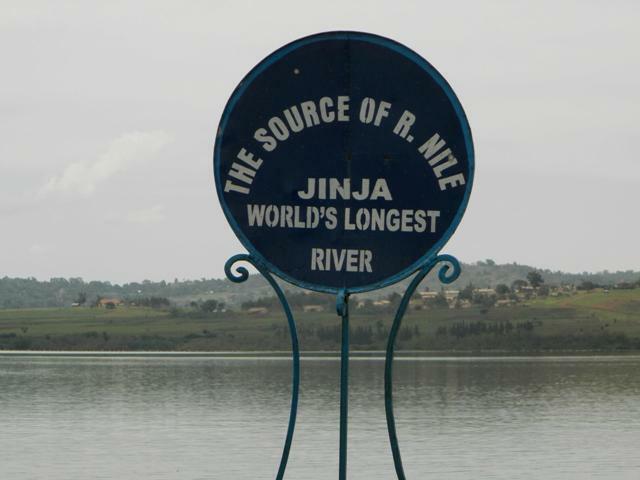 Its source starts right from Jinja Uganda, some people may be wondering how the name Nile come about. It’s a famous Greek word simply meaning valley. The river starts from the Northeastern part of Africa. It flows from the surrounding areas close to the equator to the outrageous Safari desert and up to the eastern Mediterranean Sea. The river is about 6696km long and pours its water to over nine countries although it’s more centered to Uganda as well as Egypt. Countries include Sudan, Burundi, Rwanda, Kenya, Tanzania, Zair and Ethiopia. This famous river and longest comprises of two major twigs, the white and blue Nile that connects in Khartoum to form the core Nile that is made up of Cataract Nile along with Egyptian Nile. The white Nile is the longest and splits into three parts;1)the lake plateau region,2)The sudd,3)The central Sudan region. The Nile has contributed a lot to the modernization of countries like Uganda and Egypt. Its history has been the major source as why people have been Uganda. The Nile provides power to Ugandans and it’s the source of energy, the dam gives electricity to country to enable them carry out their daily activities. The banks of the Nile are too fertile to favor agriculture and still provide water to people. Egypt is acknowledged to be a dry land but it has been able to do its farming on irrigation and the fertile soils that are close to the nile.The Nile has also been the source of life to some animals that enjoy water like the crocodiles that occupy the river banks in Egypt. The crocodiles discover in Egypt are stated to be longer and dangerous as well. So many activities are done on the Nile for instance water rafting, bungee jumping, Kayaking, boat rides as well as fishing. These have attracted large numbers of tourists that visit Uganda. Once you are here, you get to know that surely Uganda is the peal of Africa. The most exciting element about Egypt is that its historical sites are centered on the Nile bank. Tourists endeavor to pass by and get firsthand information. The best way to catch a closer glimpse of the Nile is by taking up a Nile cruise, you will see all the hidden beauty of the different countries and the experience will be exciting. As you plan for tour to Africa, the Nile must be one of the places to visit before you go back home. It’s a must see beauty of Africa. River Nile is the longest river in Africa with Lake Victoria as its source. 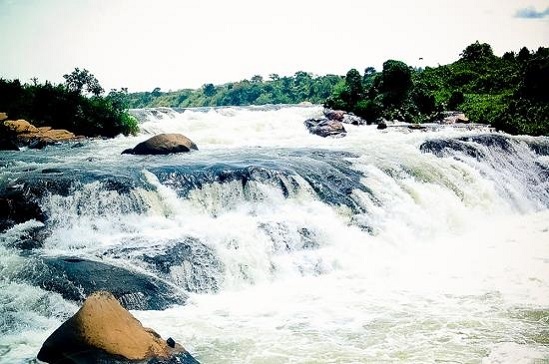 The river starts its 6,500km journey to the Mediterranean Sea (Egypt) beside Jinja town (Uganda) and holds the Owen Falls Dam the source of hydro electricity for Uganda with one other dam under construction currently. A tour to the Nile will take you through another life of adventure. There is a golf course unwinding along the banks and the source of the Nile provides a pretty focal point to the flow of water from Lake Victoria’s only outlet. A boat ride out to Samuka Island is another trip of itself, not counting the beautiful fauna you will see along. Booking a safari downstream on the Nile River brings you to Adrift Nile High Camp with various activities including Bungee jump. A few kilometers further, is Bujagali Falls, the adventurer’s capital with grade-five white water rafting, kayaking, river boarding and mountain-biking. These activities offer a unique way to explore the river banks, passing though farms, forests and villages beside the Nile. Up along the Nile’s course is Lake Kyoga which also feeds the river with fresh water. The course then leads you to the great Murchison Falls, where roars of millions of litres of water dropping form a lullaby. Activities such as spot fishing, game drives and scenic viewing can make your safari to Murchison Falls an exhilarating experience. Murchison Falls National Park named after the Murchison falls provides boat trips to the foot of the falls that enable you to look at hippos, crocodiles and magnificent bird life. Similar to gorilla safaris, the park at the falls organizes nature walks to the top of the falls for trekking chimpanzees. From this point, River Nile flows though Lake Albert to the northern part of Uganda, to Sudan and finally I Egypt were it pours its mass into the Mediterranean Sea.